Two years later, in May 2018, after Brochez had been deported, that he still had part of the records he had in 2016. Although the Ministry contacted the affected individuals, the public was not informed of this discovery. Several Singaporeans have expressed outrage over the fact that MOH did not inform the public that confidential information from the HIV registry was leaked, years ago. 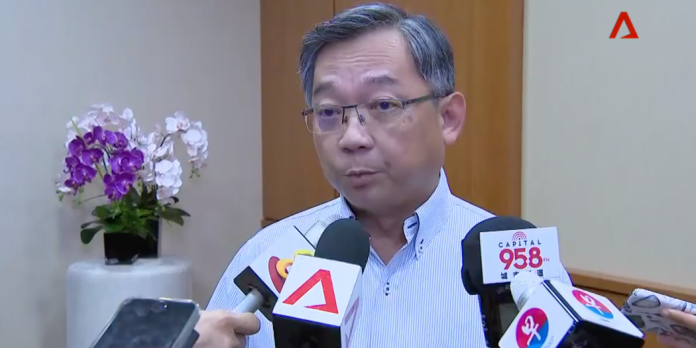 It is indeed curious that the ministry held out until the information was actually leaked to inform the public of the illegal possession of confidential records. 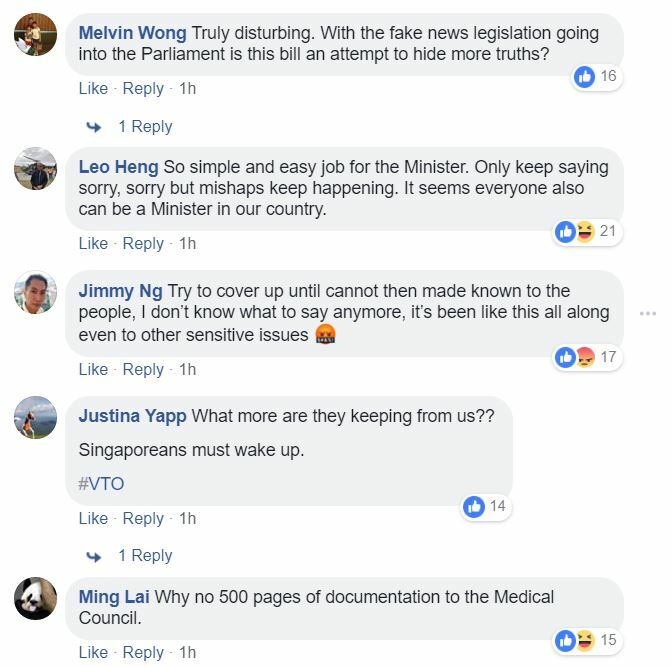 Singaporeans have also pointed out that the withholding of information from the public over this leak brings back memories of the Singhealth data hack that unfolded last year. The Government only told the public about the unprecedented data breach half a month after it was discovered. This, despite the fact that the breach affected 1.5 million patients whose medical data, personal information and contact details had been hacked. 160,000 of these patients had their outpatient prescriptions stolen, as well. 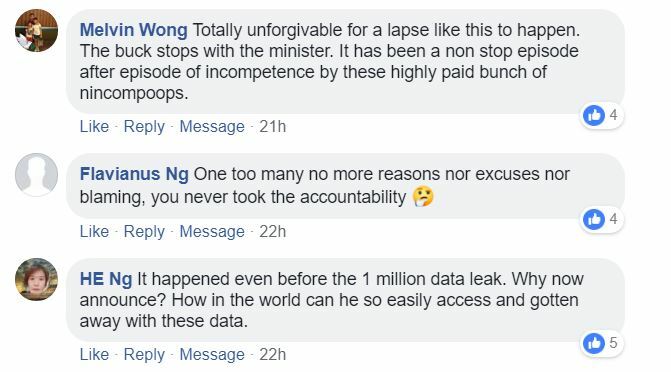 Joining the chorus of fury against MOH, veteran journalist Bertha Henson has asserted that MOH’s handling of the HIV registry leak seemed like it was meant to “cover up” the leak. “What an exercise in ambiguity! 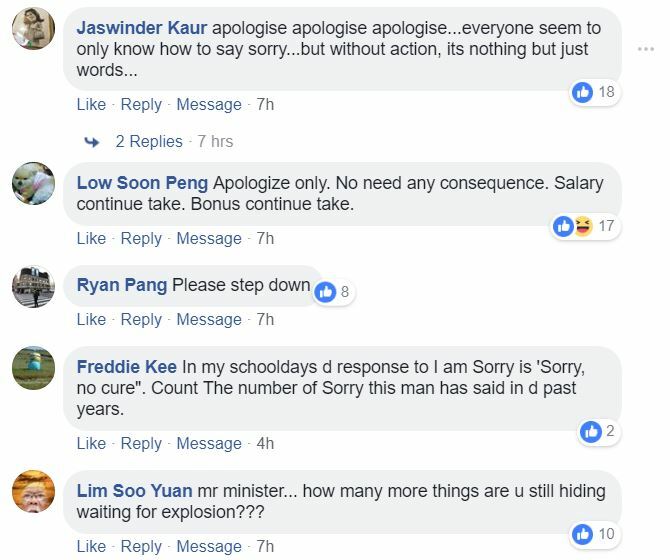 What did the authorities do at this stage to plug the leak? What does “any public manner’’ mean? Apparently, it is not through online channels. Did he attempt blackmail? And how many affected individuals were there? At this point in time, did the authorities still believe there was no need to make public the news that some information had been stolen? 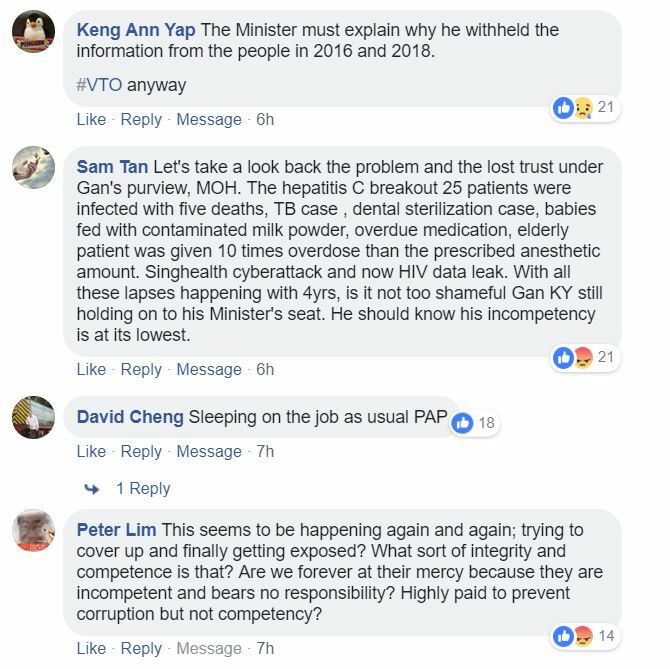 Another Singaporean, Shih-Tung Ngiam, pointed out that MOH discovered the HIV registry leak in 2012-2013 but still tried to push for the National Electronic Health Record (NEHR) in 2017-2018 despite the obvious risks. 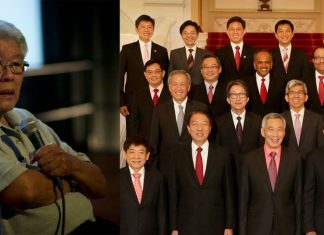 Singapore Democratic Party chairman Dr Paul Ananth Tambyah, a medical doctor who practises at the National University Hospital, is one notable figure who “liked” Ngiam’s post.